I love ice cream. I mean I r-e-a-l-l-y love ice cream. I had no idea just how much until the first time I cut carbs from my diet. 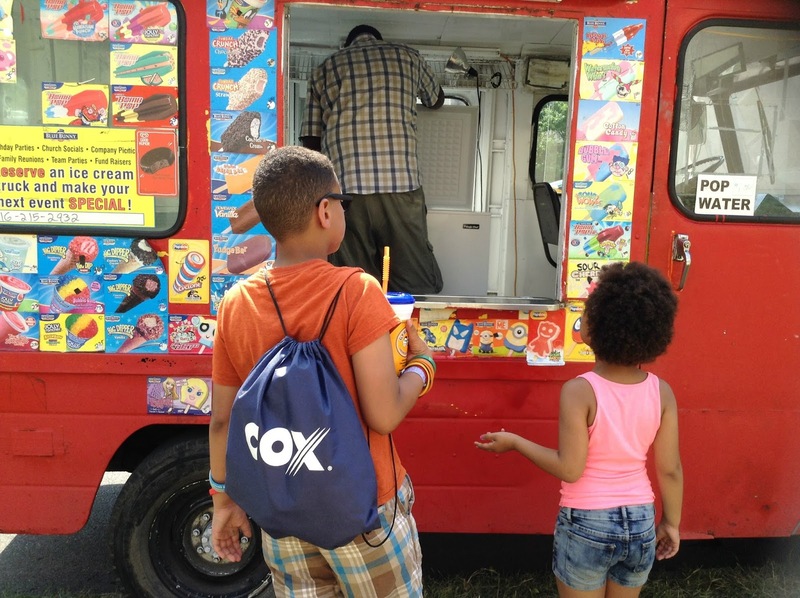 The harder I try to resist the call to that sweet summer treat, the more I want it. I give in. I will not deny myself. I just won't over indulge. 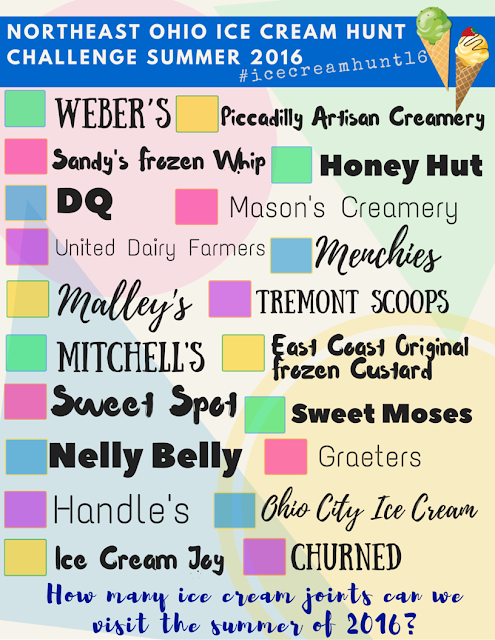 Download the list for Northeast Ohio ice cream shops. This will be so much fun! Have I mentioned how much I love ice cream? 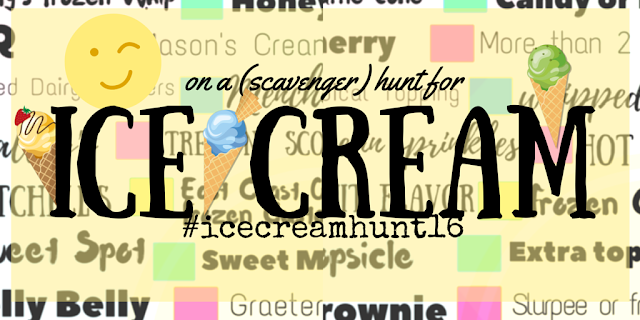 Download the ice cream scavenger hunt. I promise it's fun. I realize that not everyone who reads this lives in Northeast Ohio, so I created a scavenger hunt! The kids and I have already started on both of them. The little boxes are big enough to put the date of your visit. 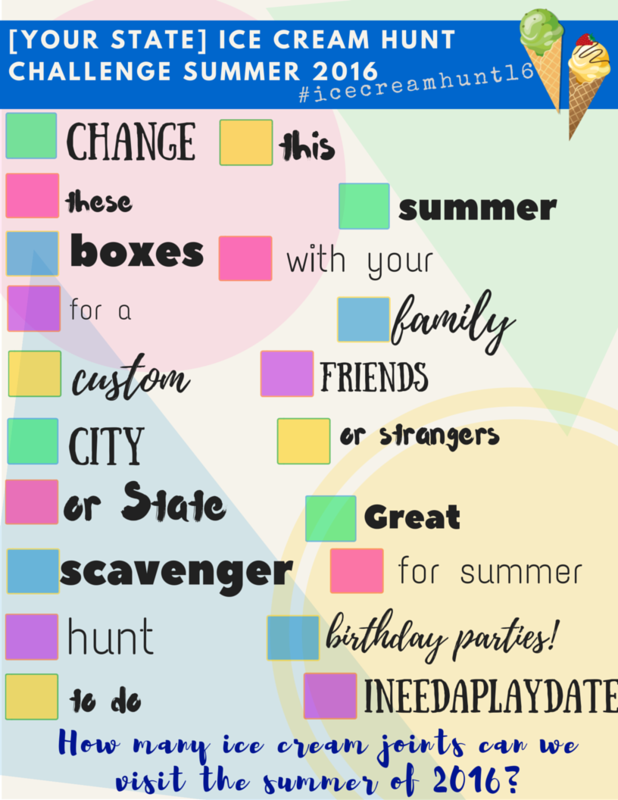 Won't this be the best tasting scavenger hunt! I know, for someone watching (and recording) everything eaten this may seem like setting myself up for failure. I'm not. I'm limiting myself to a scoop. Just a scoop from each place. Except Menchies and only if they have the low carb, sugar-free ice coffee flavor. See! Rules. I have rules. The second list is more for the kids than me. But, I have ticked a few off the list. If buying counts. And, I did have a Fudgesicle, frozen yogurt, and a sundae with hot fudge. I recorded every single bite. I also have a link to canva so you can add your own favorite ice cream shops. I think I have officially out-geeked myself - over ice cream! 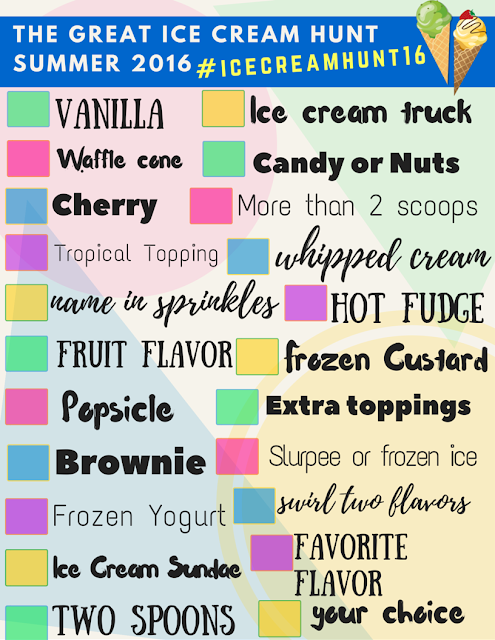 Do you have a favorite ice cream shop?